Granada has long been a favourite place to visit of mine, I find the more I go, the more I discover and the better I like it! It’s alright for me, it’s almost on my doorstep. I’m lucky enough to live in northern Andalusia. Jaen is ‘my’ province and nearest Andalusian city, then at equidistance I have the delightful cities of both Cordoba and Granada which I never tire of visiting. I went to Granada again this week. This trip was for a special reason – a food tour run by my ‘online’ friend and Spain blogger Molly who writes a lot about Spain and even more about Granada on her blog – Piccavey. We finally met face-to-face after years of ‘knowing’ each other. A long-time local to Granada she’s pounded the pavements, got to know the locals, the best (and not so good) places to eat and now has combined her knowledge and joined with Spain Food Sherpas to create the Taste of Granada Food Tour. Which is where I was headed when leaving home on a fairly fresh summer morning (20c) I drove southwards into the early morning sun and with the stunning backdrop of the Serra Nevada mountain range welcoming me to the city of Granada. I left my car on the outskirts, took a one-stop tram ride to the bus station and caught the number 33 bus into the city. Easy. Never again (only did it once) will I drive into Granada city centre, it is a nightmare. I met Molly and the other food-tourers, a lovely French couple at the designated spot and our tour began. This isn’t a fill your belly with tapas tour, but a sample and learn about food experience. Granada has a wealth of diverse produce from its coast – the Costa Tropical to its mountain ranges which create individual micro climates producing everything you can think of. Our first stop a compact delicatessen shop heaving with slowfood. Air-dried jamons from villages high on the Sierra Nevada slopes. Local, prize-winning extra virgin olive oils, cheeses, wines, jams and chocolates – all sourced from within Granada province. We sampled some great cheeses and olive oils followed by chocolate – I choose one with honey and one with chilli. I now have the chocolate factory on my list to visit! Onto the oldest shop in Spain, once an importer of fine goods, now still selling healthy nuts and dried fruits snacks, an all important part of the Mediterranean Diet. The shop remains unchanged since its opening in 1850, such beautiful wooden shop fittings. Unfortunately the jamon tasting by the local cutter and expert wasn’t possible so we tried some jamon and olives as a tapas with a glass of very good local Granada wine. Then on to La Milagrosa, a contemporary-design bar with an award-winning young chef where we sampled Local Artichoke and Organic Tomato with Herring Roe on a Prawn Cracker, followed by Bull’s Tail Croquette with Kimchi Mayonnaise and Quail’s Egg. Both were fabulous. After a quick visit to the shop next door, a wonderful old producer of grass, wicker and wooden goods. Such a treat to see dying trades like this in a city centre. Our French couple bought a beautiful, carved olive wood salad bowl. Then we headed to the historical La Chikitito, open since the early 1900s, a bar where writers and poets such as Federico Garcia Lorca would gather. True to their history they serve great traditional dishes. We had Remojon Granadino, followed by Artichoke and Almond Stew and a local desert with an interesting history – Pinonos, I’ll let you hear that story yourself! Some of the tapas we sampled are not on the normal menu but made especially for Molly and her groups to share what local food is all about. Suddenly over 3 hours (we’d gone well past the 2pm finish time) had passed very pleasantly indeed, repleat, Molly wished us well and retreated into a part of Granada I’ve yet to discover. I went off to explore some more…. that will be another post. I was a guest of Spain Food Sherpas Taste of Granada Food Tour, enjoyed it immensely and wouldn’t hesitate to recommend it. Food tours are very interesting ways to learn from a local about the area, history and culture all in one. I’d be more than happy to join Spain Food Sherpas in Malaga, another addition to my ever growing must-do list. 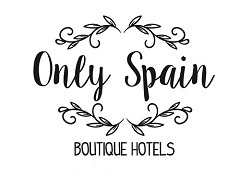 See some lovely boutique hotels to stay in on my Only Spain collection.